NP-BY1 CHARGER: Smart Charger for 3.7v Li-ION camera batteries such as Sony NP-BY1, Nikon EN-EL11, Olympus Li-60B, Pentax D-LI78, RICOH DB-80, SANYO DB-L70. Features: Plug into Wall outlet, or plug into Vehicle 12V socket. Has over-charge protection; over-current protection, over-voltage protection, over-heat protection, short-circuit protection. Shuts off when battery is full. Input; AC 100-240VAC, 50/60Hz. Output: 4.2VDC, with charge rate averaging 600mA/hr. NP-BY1: 3.7 volt 1100mAh rechargeable Li-ION battery for Digital Cameras. Replaces Sony NP-BY1, Nikon EN-EL11, Olympus Li-60B, Pentax D-LI78, RICOH DB-80, SANYO DB-L70. 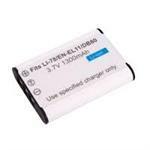 EN-EL11 : 3.7 volt 1300mAh Li-ION battery for Nikon, Olympus, Ricoh, Pentax cameras, etc. 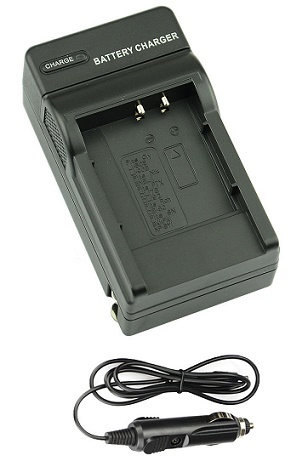 EN-EL11 : 3.7 volt 1300mAh rechargeable Li-ION battery for Nikon, Olympus, Ricoh, Pentax, Sanyo digital cameras. Replaces EN-EL11, Li-78, DB80, D-Li78, Li-60B. See x-ref list for compatability.